Vaughan: Will an old friend save Mack Brown’s job? Mack Brown’s biggest public backer — the president of the University of Texas at Austin — kept his job Thursday, but it was far from clear whether that was enough for the Longhorns’ embattled coach to hang onto his. Multiple reports have asserted that Brown, who led Texas to the national championship in 2005 but who is 30-20 in the past four seasons, is on the verge of stepping down — something Brown denied again Thursday, although somewhat tentatively. “My situation has not changed,” Brown said at a coaches’ press conference for the Valero Alamo Bowl, where Texas will play Oregon on Dec. 30. But he also acknowledged that Texas had a new athletic director, Steve Patterson, and that an upcoming discussion between the two of them and Bill Powers, president of the Austin campus, would go a long way toward determining both his future and that of the football team he has led for 16 years. FOX Sports 1 has confirmed that the meeting is expected to take place sometime before Friday night’s Texas football banquet. Rampant speculation has focused on whether Alabama coach Nick Saban would bolt to Austin if Brown steps down. Fueling that fire was Thursday’s drama before the university’s board of regents, which took up the question of Powers’ continued leadership of the 50,000-student campus that anchors the university’s system. He has clashed at times in the past two years over questions about the university’s direction — including disputes about how much of its attention should be focused on research. In a paneled, high-ceilinged room on the ninth floor of a university office building in downtown Austin, the board of regents met before a phalanx of reporters and photographers, discussing mundane business before retreating into executive session to discuss the status of Powers. And before the meeting, school officials would not disclose the recommendation before the board. As the regents gathered, Brown was 80 miles away in San Antonio, trying hard to talk about the upcoming bowl game but acknowledging the obvious. “There’s been a little speculation about my job situation throughout this week, if some of you haven’t noticed,” he said in a fit of understatement. After saying he intended to address his future “very briefly,” Brown made it clear that he was linked inextricably to Powers. With all due respect to him, I want to sit down with him and Bill in the near future and talk about where we’re going and where our program is going. We all want to get on the same page and move forward. —Texas coach Mack Brown on his desire to meet with new athletic director Steve Patterson and university President Bill Powers. But he also acknowledged that the recent retirement of longtime athletic director DeLoss Dodds and his replacement by Patterson had changed the equation. 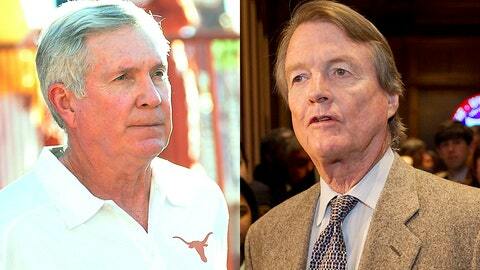 Patterson ultimately has the power to determine who occupies the coaching office for the Longhorns. Then he sounded very much like a man who planned to be coaching, talking about recruiting, about the first practice for the Alamo Bowl on Saturday — and he sidestepped a follow-up question about whether it would be his last game on the sidelines. Meanwhile, back in Austin, the regents had their workroom cleared so they could discuss Powers behind closed doors. The president, who has led the Austin campus since 2006, stepped before the cameras and said he was “grateful and appreciative” of the comments Brown had made. The regents had estimated they would be out of their private session by 2 p.m. CT, but as 2, then 2:30 and 3 p.m. came and went, speculation mounted about what it might mean. Powers himself wandered through a group of reporters waiting on the second floor of the administration building, waiting like everybody else to learn what the board would do — if anything. Finally, just after 4 p.m., Powers and his aides were summoned back to the regents’ meeting room, and reporters were allowed back in. Chancellor Francisco Cigarroa described a “significantly strained” relationship between himself and Powers — but ultimately said he believed the president enjoyed widespread support from students, faculty members and alumni and that he deserved to keep his job. The regents took no action, assuring Powers that he would keep his job. Several people in the room broke into applause. A short time later, Powers said he was “gratified” by the support. But asked again about Brown, he stopped short of offering a hint to his thinking. 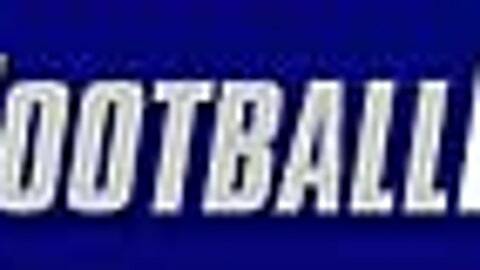 “We’ll discuss football at the right time,” Powers said. 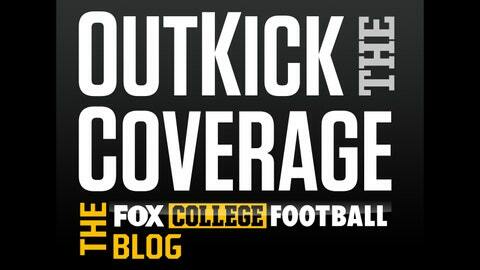 Fox Sports 1’s Jen Floyd Engel contributed to this report.